Page Six reported that Paris Hilton, an Art Basel fixture who was hanging out at Daily Front Row’s dinner on Wednesday, is planning to launch her own art show. WOW! What will this even look like? “I draw animals” is the best part of this, without contest, and these animals will not be your average intro-art-class acrylic. The art show doesn’t even exist yet, and because it involves the super-rich alien goddess Ibiza glitter of Paris Hilton, it already sounds out of this world. Also, crystals! Very underused in fine art, IMO. 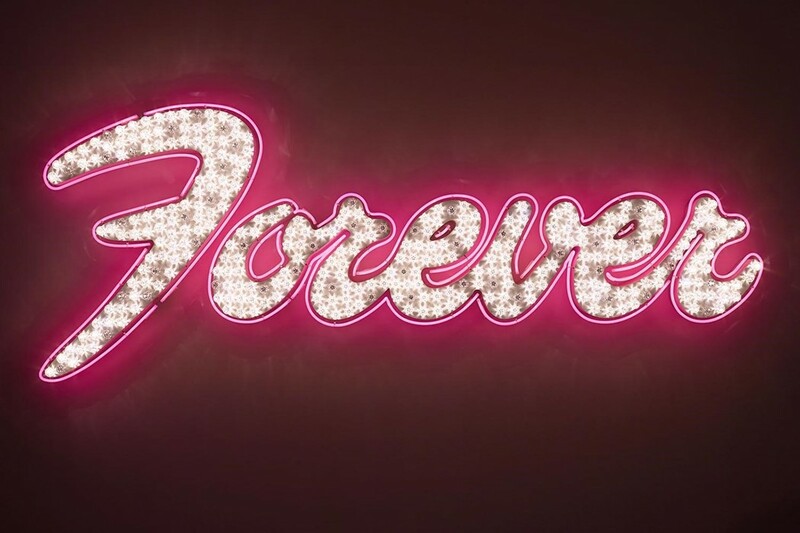 When trying to envision what this show would look like, the first artwork that came to mind was Tim Noble and Sue Webster’s Forever (Pink) piece, where the word “forever” is written in thick, glittery cursive on a sporty-pink background. I’m also imagining the surreal, hyper-colorful pop culture atmosphere of a David LaChapelle image.